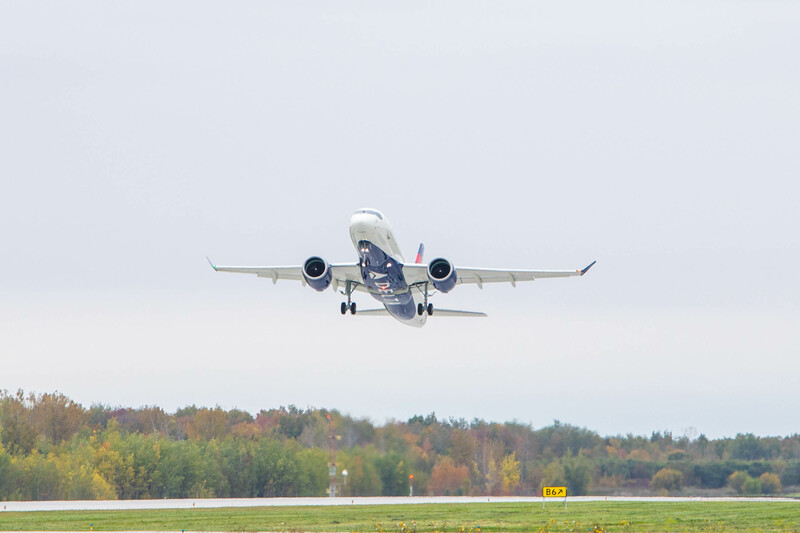 Delta’s A220-100 took to the air for the first time today, successfully completing a three-hour test flight in Mirabel, Quebec, Canada, after rolling out of the paint shop earlier this month. 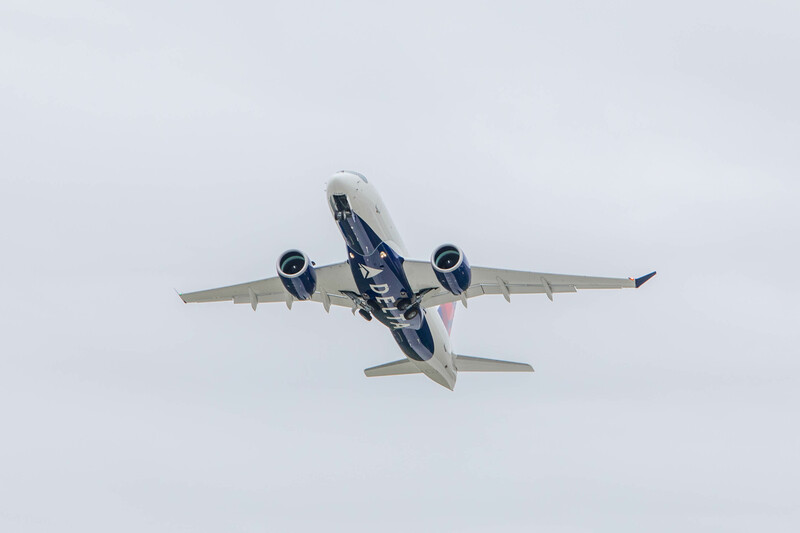 Delta will be the first U.S. airline to take delivery of the A220, formerly known as the “C Series,” which will feature a modern interior with a spacious, widebody feel, and best-in-class fuel performance. 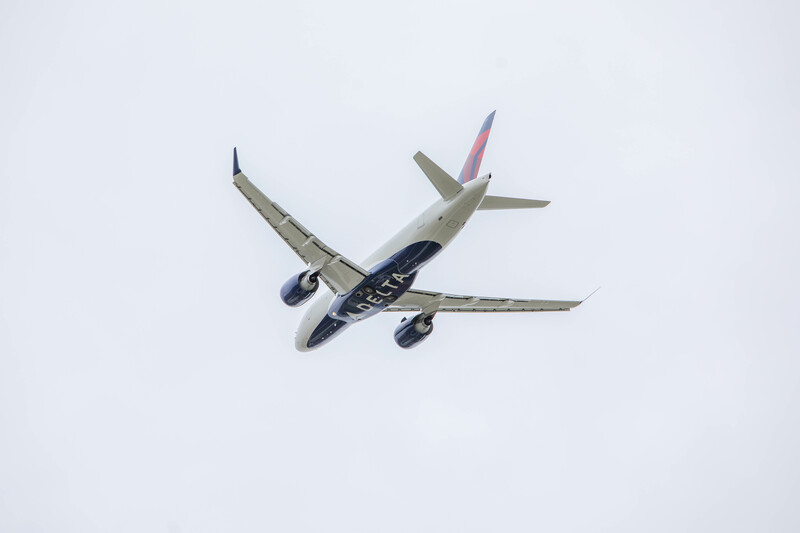 Delta is upgrading its domestic fleet to replace less-efficient aircraft with highly efficient and state-of-the-art aircraft like the A220 as well as new Boeing 737-900ERs, Airbus A321s, Airbus A350s as well as Airbus A330-900neo and Airbus A321neo. Next up for Delta’s first A220 is a trip back to the assembly line where it will undergo pre-delivery testing and installation of its state-of-the-art interior. It is schedule to begin service in early 2019. Stay tuned to Delta News Hub for updates on the A220’s progress.